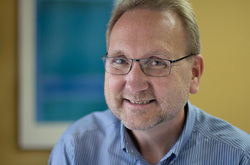 David Powell has been with Travel Concepts for almost 20 years. Here are just a few of his experiences in the last 5 or so years: strolled along the Promenade des Anglais in Nice, rowed Cape Horn, Gazed at the Church of the Spilled Blood, stood at Europe's most northerly point, relaxed on Maui & the Big Island of Hawaii, and cruised along the Mekong River. I am an avid music fan and collector, a keen photographer; I love to cook (and drink wine!) and greatly enjoy my travels. My wife Linda and I have been North Shore residents for almost 25 years and we celebrated our 35th wedding anniversary in 2012. It has been my privilege to help my many long time clients fulfill their travel dreams. David is in the office Monday to Friday 9:00 am to 5:00 pm and is always available by email.